Anyone can access your personal files when they enter your computer. 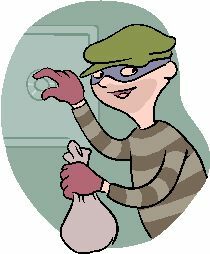 There may may be personal letters you want to keep private or bank statements that need to be kept secure. So how do you protect files from intrusion? What you need is a folder lock that will password protect a folder or even individual files. Axcrypt does this simply and with ease. It integrates with Windows Explorer and you merely have to right click the file or folder to easily encrypt either one. Double click to edit/view with any application. Automatic re-encryption after modification file. Support for larger files 4 GB or higher. English, Danish, Dutch, French, German, Hungarian, Italian, Norwegian, Russian, Polish, Spanish, Swedish. Axcrypt encrypts files and folders safely keeping them from prying eyes. Make sure your files are protected files. 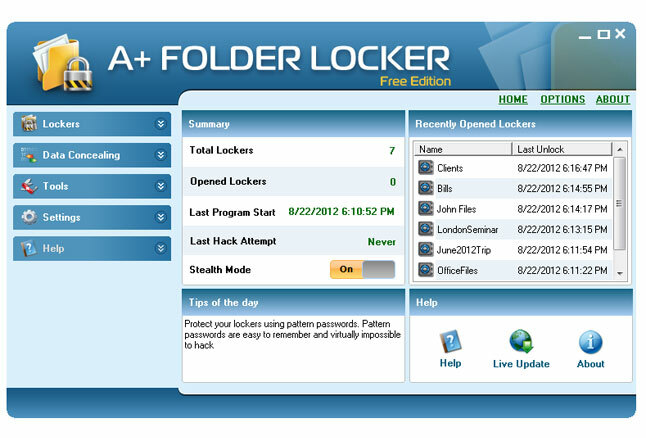 Try A + Folder Locker Free edition to keep prying eyes from your personal data. It may be the free edition and misses some of the paid editions features but there is still plenty of useful tools here for security. Hide files and folders so that nobody even know they exist. Disguise them as audio files or photographs! Protect data in secure lockers, securing it from unauthorised access. Safeguard lockers with hard to crack passwords using text or pattern passwords. Lockers can be protected with a USB key that only you have access to. The worlds most sophisticated encryption algorithms are used to lock all files and folders. Files and folders that need to be erased securely can be shredded using algorithms that exceed Government standards of security. A+ Folder Locker Free does not stint on usability even though it is a free edition. Supports Windows XP, Vista and Windows 7/8.